Wowzers that was fun! Today's Churchill craft sale was great fun! I met so many nice people. To my great surprise I sold nearly all of my owls! It is now the end of the day, kids are all tucked into bed and I must get crafting for tomorrow's show. I didn't expect to sell so many owls today and need some for tomorrow;s Idle Hands show! It is interesting to be crafting and selling. I am getting an understanding of the energy and manpower it takes to put a product together. From buying supplies, organizing my working space, applying to shows, making the stuff, packaging, packing my car up, setting up my booth, selling the stuff and repacking the car! Wow! It's a whole chain of happenings to bring handmade arts to people who appreciate the art of handwork and I love it!!! A fun aspect of attending shows is meeting other crafters and getting inspired. The booth across from mine was a sweet woman who created Rainbow Nest. She hand stitches the cutest play food. I first spotted her stuff in the hands of little girl standing at my booth. She was holding a box of what looked like 4 yummy chocolates. Upon further inspection the chocolates weren't edible but play food! They were so well done they looked real. This is terrible but I forget her name!!! Her card is somewhere in my stuff! For now I will call her my new friend! This was my table. The little santa elf to the left sold. It made me a little sad as I had grown attached to him. Often I mourn the characters that leave my table. As I felt roving into characters they come to life and I grow attached to them and even talk to them in my mind's eye. Yes, I have fell under the felter's spell and going over the deep end and enjoying the journey. Gotta go make more owls see you! December 1rst is next week, can you believe it? It seems like time just evaporates in thin air. Where does it go? If you are sill looking for that special gift for that special someone and want to support local handmade artists check out these shows. First, my friend Karie www.workermade.blogspot.com is going to be at the McNabb sale. You can fill up your child's tickle trunk with dress up costumes like super hero, cowboy, princess and more. She also sells flaglines, quilts and well just check her out. While Karie is selling at McNabb I will be selling my angel and ball felting kits at the Churchill Alternative School craft sale. On my table you will also see a cute as a button mushroom house, lots of owls, an elephant, Christmas balls and loads more felting surprises. Come on down and say hi! I love meeting new people. Happy shopping! I have been felting like a mad women. I am a felting feen. I can't stop felting owls! I am also in the process of wet felting the cutest little mushroom house. I am getting ready for 2 crafting shows next weekend. On Saturday I will be selling my felted arts at the Churchill alternative school and on Sunday at the Idle Hands show on Elm street at the Patrick Gordon Framing Studio. I am having so much fun! "Those who live in the past limit their future." Not so long ago my children ran up to me with open arms and giggled so readily. Not so long ago cuddles were the name of the game. Not so long ago we shared the same bed, cuddled all night and woke up together. In these moments I ignored the fact that moments fade with time and space. I watched feet grow bigger, hands go from grasping, to eating, to writing and I am shocked at the speed of time. Moments build upon moments and seconds, turn into hours, hours into days and days into years. This passage of time is out of my control and etched in every line in my face. The moments live in my heart and yet I sometimes yearn to relive them over again, to hold their little pudgy hands, to see them suckling at my breast, to hear their first words, see their arms reach for me with expectant faces, their legs wrapped around my waist. Now Zoe wears a size 4 shoe which is one size down from my mother's shoe size. Owen has out grown the shoes I bought him 2 months ago and wears a size 2! Zoe is tall and looks older than her 8 years. Owen has elaborate inventions and always trying to figure out the mechanics of how things work. I see them now, taller, more communicative, agile and the reality of time and it's passing is evident. I look at them and realize this is it. This is my chance to build a strong relationship with my children. This is the time to truly listen, to understand, to cuddle, to be present to all that they are. Tuesday evening I walked into the craft room to Zoe and Owen making these great puppets. I was tickled pink that they took initiative to be creative. They were so focused on their task and absorbed in working with their hands. It was a warm fuzzy moment for me. They are getting older and I am finally growing up! A few years back, oh about 3 years now, I had a dream of creating a business that spreads my joy of felting. Finally after many years of procrastinating I have put my dreams into reality. I am tickled pink to present to you My Green TOYBOX's first felting kit! Drum roll please! Kit includes supplies to make 3 balls, 2 needles, and picture directions in a 100% cotton all natural cloth bag. 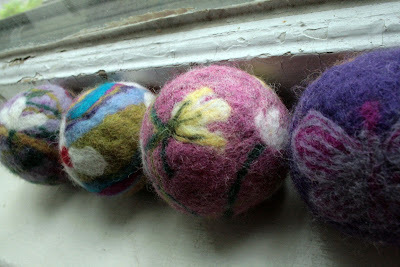 Let me know why you would like a Ball Felting Kit and you might be a Ball Felting Kit Giveaway winner! You can reply on the comments section below, via e-mail or if you found this post via Facebook you can comment on this Facebook post! Good luck! The season of cozy nights, hot chocolate and snowy outdoor fun is slowly creeping in on us. With the cold and snow coming our way so is the Holiday season. In celebration of coming together with friends and family I invite you to my home for warm beverages and the joy of felting. In these 2 hours we will felt decorative balls and angels. These ornaments can be used to beautify your Christmas tree, as a mobile for a child’s bedroom, or as a simple, beautiful and easy handmade gifts for friends and family. If you are like many people and think of yourself as not creative have no fear!!! 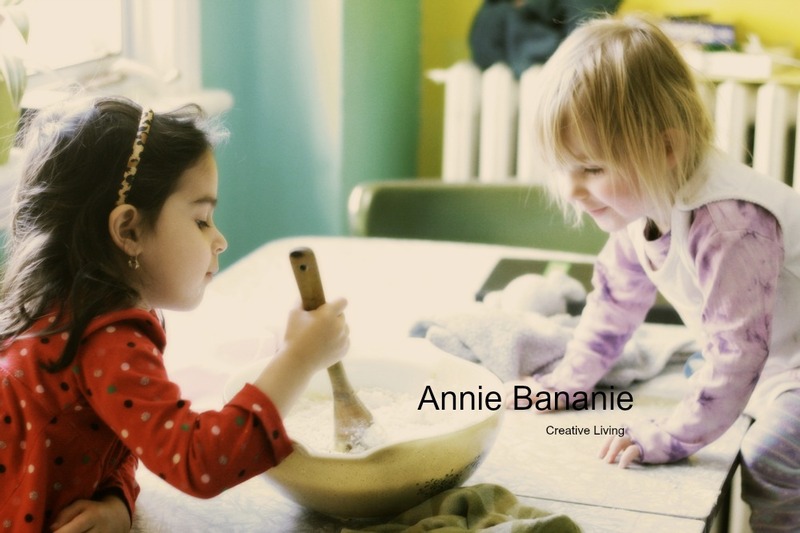 I believe that we are all creative! Felting is easy and fun for everyone. In these workshops people always leave feeling inspired, creative and fulfilled in some way. Please join me, it is so much fun! As an inspiration you have the option of arriving at 18:30 and enjoy a 20 minute Kundalini yoga class. This will stimulate your creative consciousness and uplift you! Yesterday was made for perusing the beach. The wind has died down and I deepen my relationship with the sea. As I sit on the soft, white sand and close my eyes, I feel the slight breeze and hear the oceans roar. My body relaxes and my mind let's go of thought and expands to what is in the moment. My eyes now open I observe these birds playing, eating and just plain old beautiful. Wherever you are I hope you see the beauty around you. Wednesday morning I was scraping the frost off of my car and by that night landed in Naples Florida. This is the amazing world we live in where we can travel to far off lands in a matter of hours. Once in a while it's good for me to take a break from the business of my life and take a few deep breaths somewhere where there are no piles of laundry and lists to complete. I do miss Zoe and Owen and think of them often. Some day I will bring them to the ocean and will live through them the discoveries of the sea. Here in Naples on the Gulf of Mexico, I have been letting go of my mind chatter and enjoying the moment. The first few days here were rainy and cold. Every time we ventured out for a walk we returned soaked to the core. I don't mind, I didn't come here for the heat as much as for the experience. Thursday morning we walked along the shore of the white sandy beach, and saw the storms off the in the distance, in time the wind blew them our way and we walked with the rain pelting down and around. The strength of the storm around me liberated me somehow. Sopping wet I ran through the waves and felt freedom. Wherever you are I hope you are taking deep breaths and enjoying just enjoying.